From Tall Ships to long stems, Glasgow girl Lisa Gaston is a creator and educator with a difference - she has her own unique style of Flower Power. 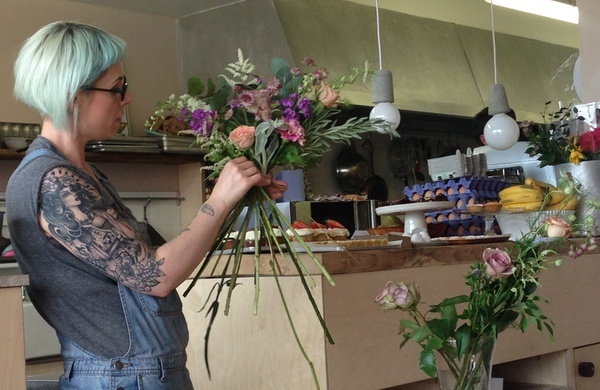 “I came to floristry rather late, it was a complete career change for me,” explains Lisa. 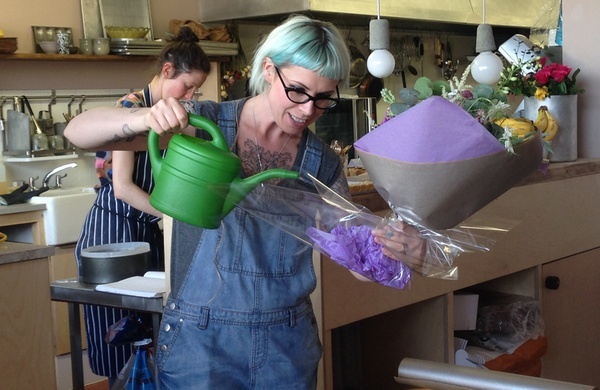 “After years working in museum education, I decided I’d like a more creative, hands-on job and so I gave up my full-time job at Glasgow’s Tall Ship and went to work for a local florist. “I get really excited when I see a new variety of flower at the market,” she laughs. “Currently my favourite flower is Nigella - or ‘Love in a Mist’ - I love his wee alien centre, and fluffy bobbing buds. But Lisa is an inspirer too and she runs regular Floral Menagerie classes and events. Lisa’s classes are full of top-tips for budding home-arrangers, and are all held in the delicious surroundings of artisan southside bakers bakery 47. Lisa is an affable teacher and her enthusiasm for creating gorgeous spiral bouquets is infectious. Participants are encouraged to pick their own, individual bucket of blooms and foliage and shown how to create their own menagerie of floral fantasy with an easy to follow, step-by-step display. Lisa shares top tips such as how to find the perfect bouquet tie point, how to remove bad outer petals to stop your bloom from bruising, and how to rub a bud to encourage it to open quicker. Flowers provided are premium and other worldly, with frilly peonies, delicate vintage cappuccino roses and fluffy lambs ear foliage amongst unique twists on classics such as pretty antique carnations and fresh french lavender. Lisa works from a home studio and specialises in wedding and event flowers. 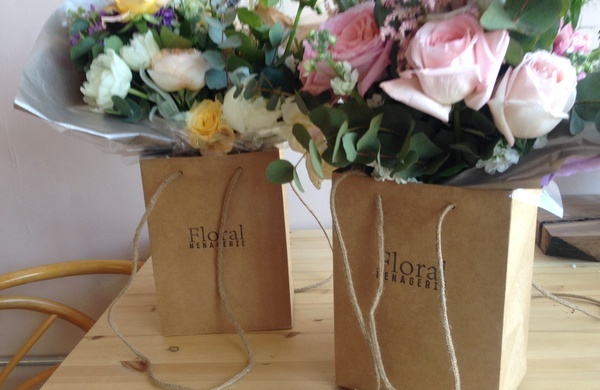 Floral Menagerie’s bespoke service includes everything from inspiration mood boards, to design, creation, delivery, installation and breakdown. Unique gift bouquets are also available with a few days notice. Delivery within Glasgow is free of charge. Browse our deals for classes in Glasgow.